Someone soon is going to have to find a creative use for all the empty shopping mall real estate, as one retailer after another retrenches, retreats, or simply goes away. The struggling discount shoe store chain Payless is the latest added to the critical care list. The company reportedly plans to file for bankruptcy as early as next week, according to a Bloomberg report. Bloomberg quotes company sources as saying Payless will initially close 400 to 500 stores as it looks for a way to keep at least some of its doors open during the bankruptcy process. The growing dominance of online retailing is taking a heavy toll on brick-and-mortar stores, with many companies struggling to meet their first-quarter sales goals as conditions continue to deteriorate. Retailers have been falling right and left, the latest being Radio Shack, which earlier this month sank into bankruptcy for the second time and began closing its stores. Earlier today, Sears, one of the most venerable names in retailing warned in an SEC filing that it may not be able to continue as a going concern. In its filing, Sears noted that many of its competitors operate mostly online or through catalog sales and are not required to collect sales tax, putting brick-and-mortar stores at a disadvantage. 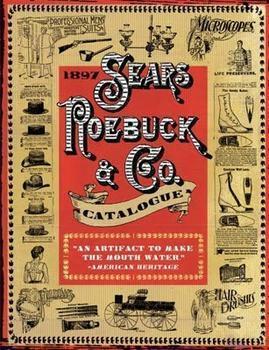 Ironically, it is none other than Sears that is generally credited with popularizing the mail-order business, publishing its first catalog in 1888. Payless would no doubt echo Sears' complaint, with an eye towards online shoe giant Zappos and other online shoe sellers that have taken a large chunk out of its market share. Payless, founded in 1956 in Topeka, Kansas, operates more than 4,000 stores in 30 countries and has about 22,000 employees.